Updated 7:56 p.m. Oct. 3, 2018. The U.S. Environmental Protection Agency revealed its plan to remove harmful, cancer-causing toxins found in the Donna lake, the agency announced on Monday. 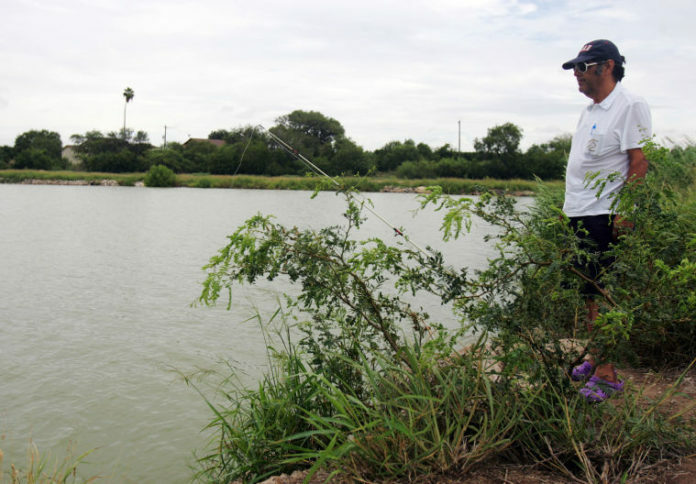 Fish in the lake, operated by Donna Irrigation District Hidalgo County No. 1, contain high levels of polychlorinated biphenyls, or PCBs — a man-made chemical no longer produced in the U.S. A 1,600-foot siphon at the canal and reservoir system has likely been leaking PCBs. It will be replaced as part of the plan. The siphon, longer than the length of five football fields, was built in 1926, underneath the Arroyo Colorado River. It allows water to flow from a canal into the reservoir at the site known as Donna lake. The irrigation district operating the canal and reservoir system supplies water to the city of Donna and the North Alamo Water Supply Corp. A health assessment found drinking water and “plants from the surrounding agricultural fields” were safe. The EPA plans to dispose of the siphon sediment at an “off-site facility,” according to an agency news release. Despite signs warning residents not to fish in the lake, the EPA was notified, as recent as 2013, that a vendor might be selling toxic fish to local restaurants. Residents also ignored warnings and continued to fish at the canal and reservoir system located south of Donna. However, there would be a “potential for an increased probability of cancer,” if no action was taken to rid fish of PCBs leaking from the siphon. Both will be removed, and the area will be monitored for five years as part of the EPA’s plan to “fully address” the health hazard. “These actions will address risks to people’s health associated with eating fish from the reservoir and canal system,” an EPA representative said in a news release. The record of decision, an official document detailing the clean-up plans, has not yet been publicly released. The EPA designated the 400-acre canal and reservoir system a “Superfund site,” one of the most polluted areas in the U.S. It was placed on the EPA’s priority list in 2008.